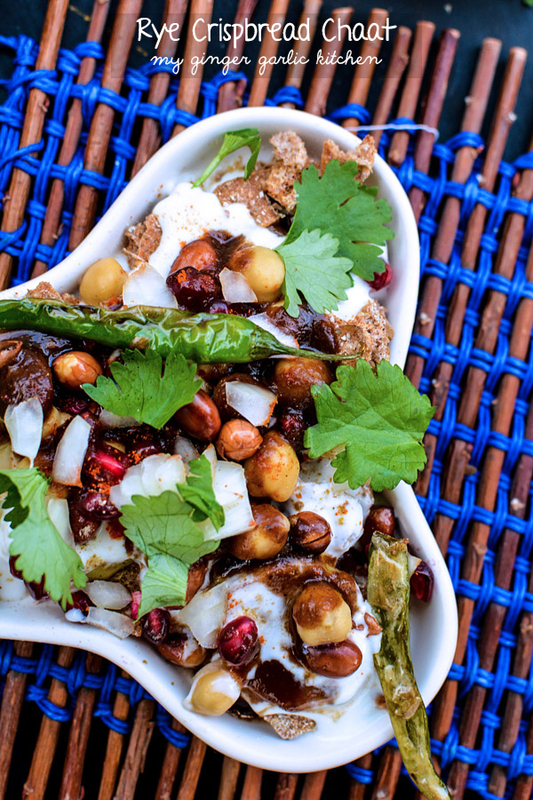 Rye Crispbread Chaat is a twsited version of papdi chaat with roasted potatoes, chickpeas, tamarind chutney, roasted peanut, roasted green chili, and pomegranate arils. I added a lot of yogurt, and some spices to chaat. It’s mid-week already, but let’s talk about our weekend adventure. Wow, this weekend was quite eventful for us. Or maybe I should say that is was EVENTFUL for my little daughter Ado. One of our friends who recently got blessed with a cute little baby girl came to our place for dinner last weekend. Their beautiful cute little baby girl is now 2 months old. As it was a Saturday and Ado was at home—it was slightly tough for me to make her understand that I would be busy cooking that day. After our 5-minute mommy-baby conversation, she finally understood that a little baby girl would come to play with her later in the day. She was so full of enthusiasm to know more about the baby. She even brought her foot step-stool and stood beside me in the kitchen. While I was in the kitchen, Ado kept coming to me and said that she is so HAPPY. ‘Baby coming, baby coming’ were her only constant words for the rest of the day 🙂 Sometimes kids are just so ADORABLE. Being a mommy I just want time to STOP for that moment!!! It happens quite many times with me. And I also have a STRANGE HABIT of missing her while she sleeps. I don’t know why, but when she is awake and busy messing the stuff, I wish her to take a NAP so that I can concentrate on my work. But when she is sleeping I want to wake her up, and hug her so TIGHT. Let’s go back to our adventurous day. I know exactly what was going in her YOUNG head. OH my dear hardworking LITTLE girl! I love her so much for being adorably lovely, and I only want to tell her that she is the apple of my eyes. Well, it was the story at noon! The real FUN part is yet to come. Our friends came at about 6 PM. Ado kept following them, as she wanted to be with the little baby. She kept saying, ‘Ohhhhhhhh baby, ohhhhhhhh baby’! This is the most beautiful word I have ever heard from her mouth in her sweetest voice. When she says ‘Ohhhhhhhh Baby’, she gorgeously emphasises on ‘Ohhhhhhhhhhh’, and ‘BABY’ goes so fast. I hope you can imagine how she makes that sound? 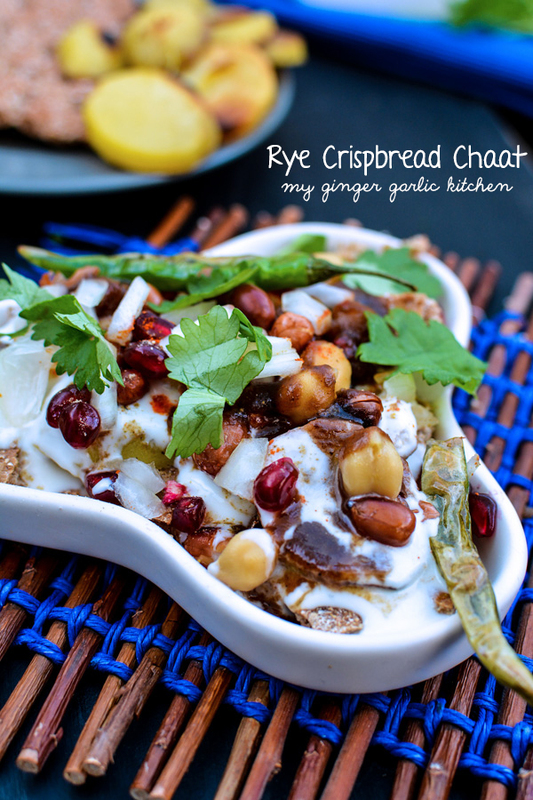 I decided to make ‘Chaat’ out of Rye Crispbreads. YEAH! Chaats are always welcome in my family. SO Husband gave a BIG yes to the idea. Ado also loves Rye Crispbreads so much. 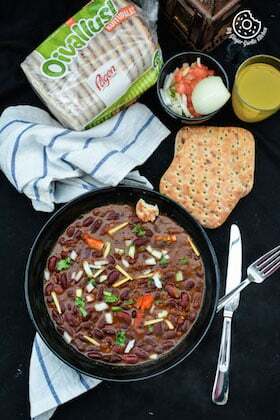 For the recipe, I kept things pretty simple with roasted potatoes, chickpeas, tamarind chutney, roasted peanut, roasted green chili, and pomegranate arils. 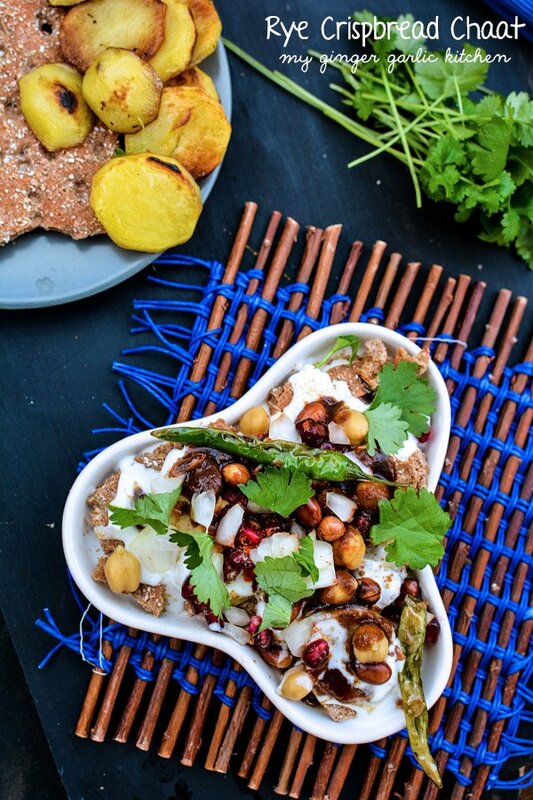 Oh, and of course I added a lot of yogurt, and some spices to spice up my chaat. The combination just speaks to my heart. 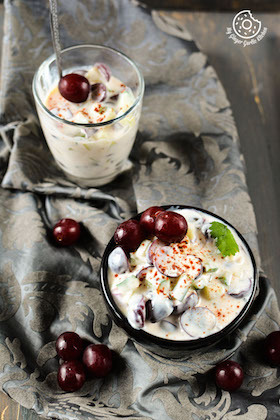 But hey, I have used natural yogurt in this chaat, thus certifying it with the “HEALTHY” stamp of approval. 😉 For me natural is always healthy. How does it taste? Yes! It is super AWESOME. You can make this anytime, especially when you have no time for cooking. 🙂 Everyone goes crazy for the peanuts. And it’s a nice switch up from the regular chaat. For real, everyone gets excited for crispy peanuts. And finally, it’s kind of a super GORGEOUS dish to serve. I love the colors and the whole dish, it makes everyone go WOW in such a good way! 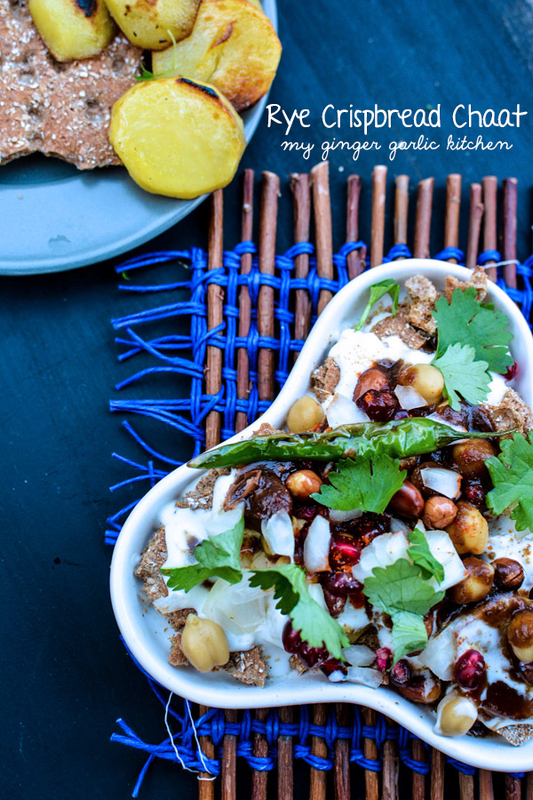 Rye Crispbread Chaat is a twisted version of a popular Indian Dahi Papdi Chaat snack which is sweet, spicy and tangy. 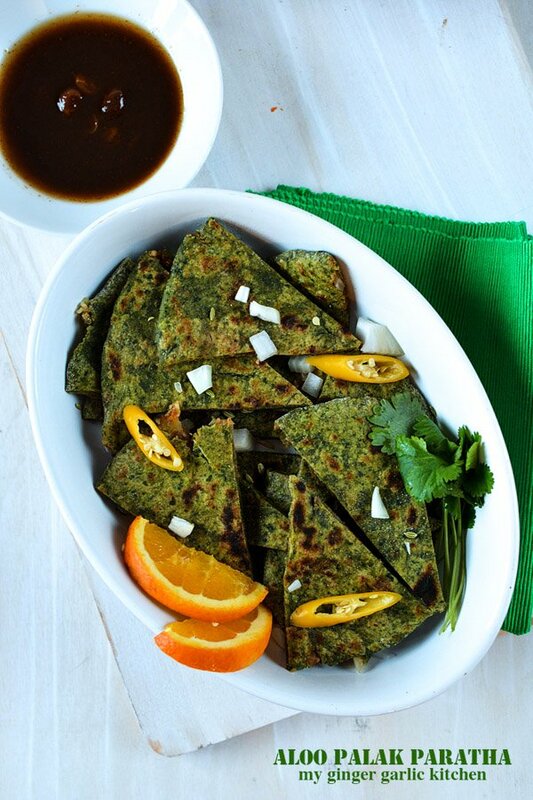 Coarsely crush 8 crispbreads and arrange them on a serving plate. 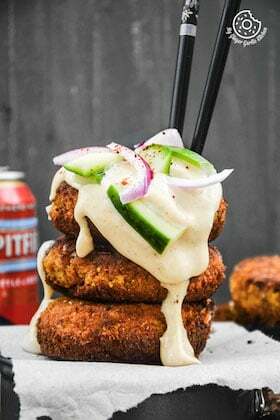 Top it with half potatoes, half chickpeas, 1 cup yogurt, 3 tbsp tamarind chutney. Sprinkle roasted half peanuts, pinch of salt, ¼ tsp chaat masala, pinch of cumin powder and pinch of chili powder over it. Top with some chopped onions, pomegranate arils, and cilantro leaves.